Dear Sir, The Baloch Social Media Activists forum would like to draw your kind attention towards the heinous crimes that the occupying Pakistani army is committing against humanity in Balochistan on daily basis. In order to contain the Baloch Freedom Movement, the Pakistani state has adopted a sinister strategy of eliminating the intellectuals and activists of Baloch society –with its systematic 'dirty war' which generally is called "kill and dump policy". Pakistan's notorious spy agencies, ISI and MI abduct Baloch political activists and subject them to untold agonizing tortures and subsequently throw their mutilated dead bodies on deserted areas across Balochistan. Tarek Fatah once again exposes how majority Pakistani Punjabis are exploiting Baloch; and the racist attitude towards these linguistic communities. In Pakistan, the political and military power is concentrated, initially in the hands of Mohajirs and then Punjabis. 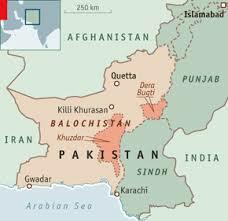 The majority Punjabis are resented by most of the Balochs, Pathans and Sindhis. On THE NEWSHOUR, TIMES NOW's Editor-in-Chief and panelists -- Dr Tarek Fatah, Author & Columnist; Ahmar Mustikhan, Journalist (Defender of Human Rights of people of Baloch); Maroof Raza, Consulting Editor, Strategic Affairs; Rashneek Kher, Founder Member, Roots in Kashmir; Lt Gen Ghulam Mustafa (Retd), Defence Analyst; Major General Khalid Naeem (Retd), Defence Analyst; Brig Javed Hussain (Retd), Former Pakistan Army Special Forces officer; and Group Captain Sultan M Hali (Retd), Defence Analyst -- discuss international pressure mounting on Pakistan to free Balochistan, 'free Baloch movements' across the world to expose Pakistan and raise awareness against Pakistan's genocide in the territory it has illegally occupied.